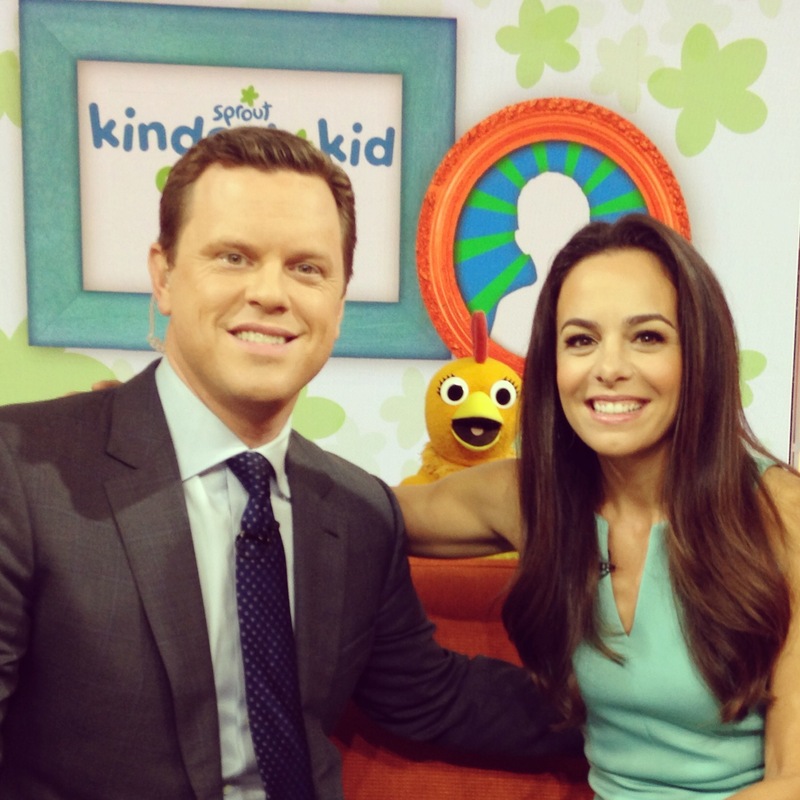 In case you missed it, Chica and I were invited to visit The Today Show to make a special announcement: Sprout has launched its “Kindest Kid Contest” again and they’re looking for submissions! (The deadline is Sept. 30) As mommy to two little ones, the topic of kindness is really important. I want my girls to know that being kind matters and any act or demonstration of kindness, big or small, counts towards making the world (even if it’s just our little corner!) a better place. It seems so obvious, even to me now as I read what I just wrote, but it’s interesting how quickly it’s forgotten. I think about the last time I saw someone coming through a door behind me, or struggling to carry packages, or attempting to merge into my lane of traffic…what did I do? I’m the first to admit that I’m far from perfect and there have been so many times where I’ve been too busy or distracted to hold that door open. But, to be honest, now that I have those two little girls I have found myself making a conscious effort to have more patience, slow down, and pay a bit more attention. These little ones learn from my example at home. Now it’s on me to make sure that I’m showing them how to be kind to themselves, to each other, to our pet and other animals, and, of course, to our environment. I’ve had many parents ask me what sort of “act of kindness” does their child have to do in order to enter. That’s a great question and the answer is simple: anything! To me, the point of the contest isn’t to name one winner who did some amazing deed, it’s to get a conversation going in every family about what being kind means, why it matters and how we can all be a bit more kind everyday. So, if I were to enter Bianca, my 2 year old, into the contest I would say she was very kind yesterday. She saw a candy jar with mints at a restaurant and asked me for one. I took her to the jar, she picked one, and without hesitation and with a look of concern, she asked if she could get one for her sister too. Of course I said she could. That only satisfied her for a second! Then she asked if she could get one for me and her father too! So sweet and thoughtful. To me…that’s kindness! Now, if I were to enter my 4 year old, Gia, I would have to say her act of kindness was when she picked up the scraps of paper from the table (after some crafty project we did) and walked to the kitchen and threw it away in the garbage. This teeny tiny act was kind in so many ways! First, kind to me! She saved me the trouble of asking her to do it or having to do it myself. Second, kind to the environment! Perhaps she doesn’t understand the importance of recycling or of not littering (because she’s only four! ), but this is how and when that learning process begins. So, as you can see, my kids aren’t out there forming non-profits or organizing fundraisers! They are doing little things here and there, like I’m sure all of your kids are doing. It’s when we shine a light on all of the kind acts – big and small – that we see what a big difference we can all make together! The deadline for submissions is coming up on Sept. 30 and I can’t wait to see what acts of kindness you’ll share with Sprout! Hold on to your hats Sprout fans! A brand new show is launching on Sprout in 2 days! 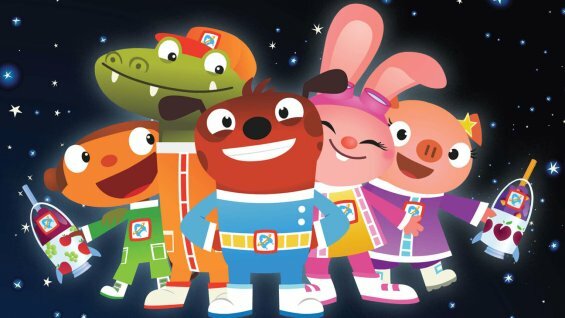 Astroblast is filled with fun (and really adorable) animals that live in outer space on a space station. 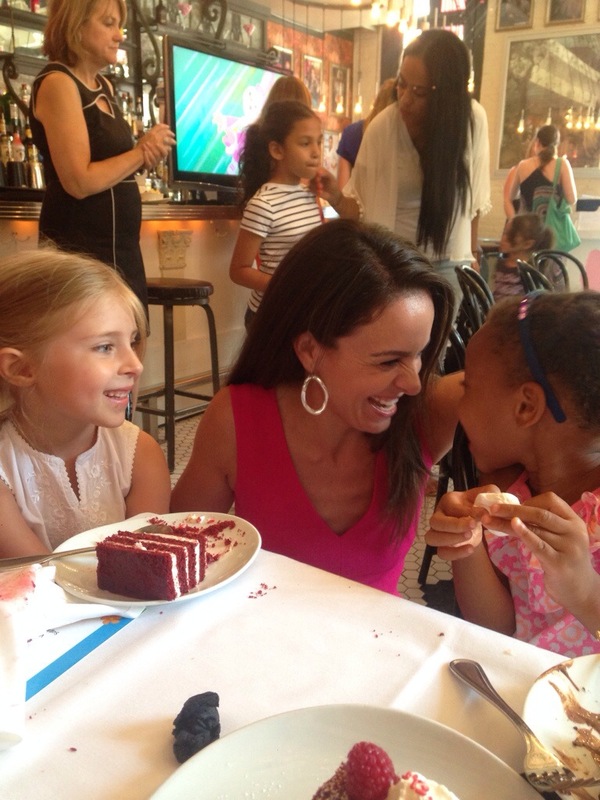 In celebration of the launch of the new show, which is produced in partnership with Scholastic Media, Sprout hosted a luncheon for some wonderful moms and their Sproutlets in NYC…at the Sugar Factory, no less! Those present were lucky enough to watch a sneak preview of the show, but worry not dear reader! Check out sproutonline.com for a full episode and sneak previews. And, if you just have to see it on TV you’ll only have to wait until Saturday July 12 at 1pm EST or 8pm EST to watch on Sprout! And, speaking of July 12….we will be broadcasting the Good Night Show LIVE from 6-9pm EST on Sprout! It’s been a while since Star and I took over the Sunshine Barn (which is where the Sunny Side Up Show lives) and I can’t wait! We have a few surprises planned, but rest assured that we won’t deviate too much from our trusted nighttime routine that gently eases our little Sproutlets to bed every night. We are just so excited for the launch of Astroblast that we felt it deserved a huge welcome! 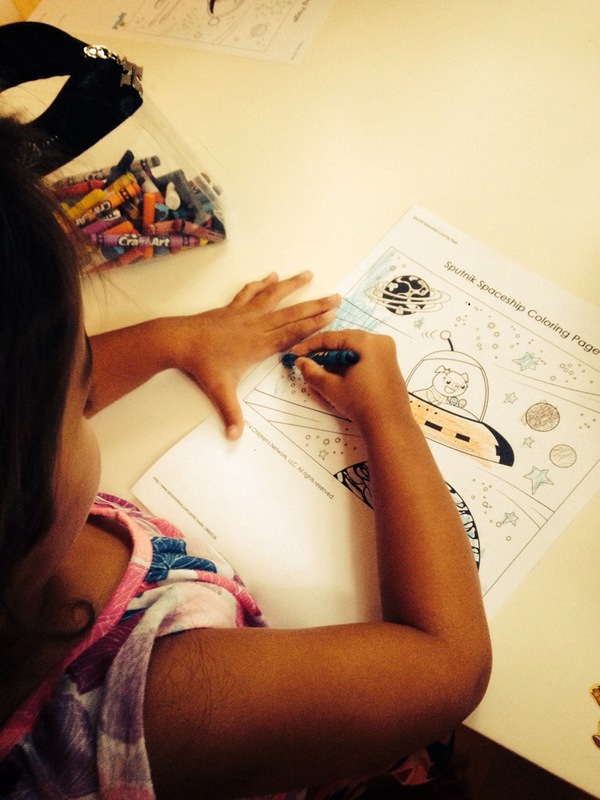 I hope you’ll visit sprout’s website and take advantage of the printable coloring pages and really cool interactive games they’ve created to support the launch of Astroblast. 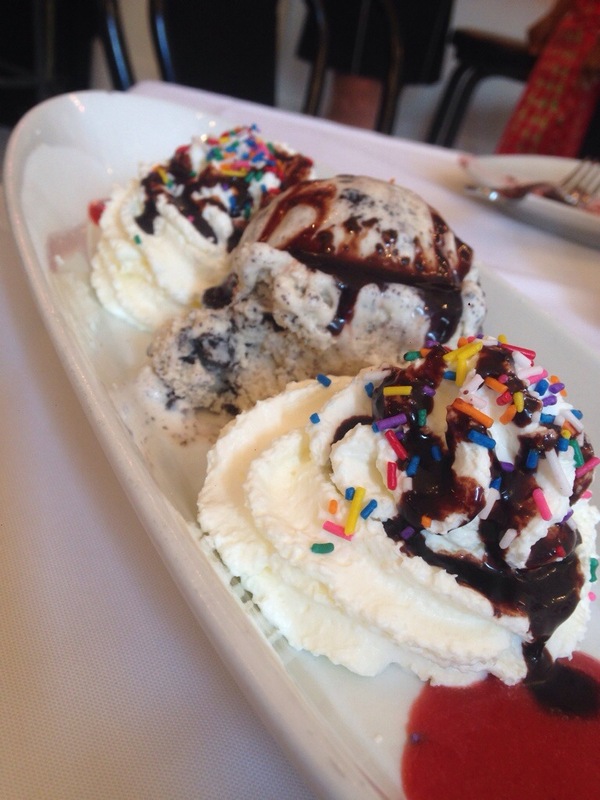 Yummy Sundae at the Sugar Factory! Yes…like a kid in a candy store!